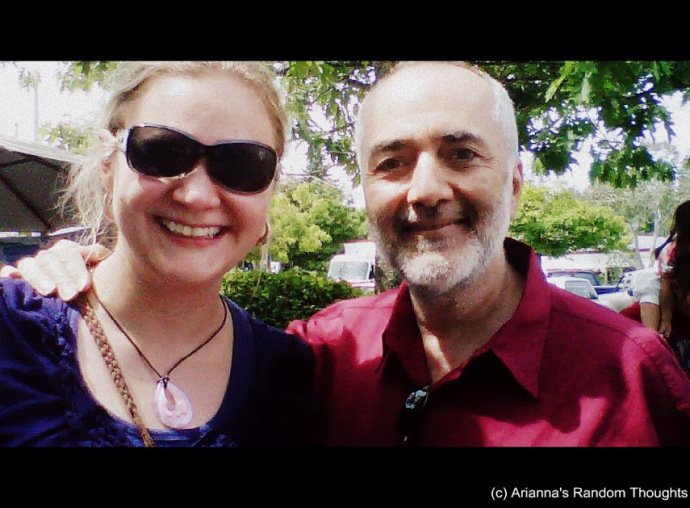 Raffi: Lyrics Touch Lives | Arianna Merritt, M.Ed. The words you hear in your daily life - either through conversation, reading, or in music - influence your growth and development. Be mindful of what you pay attention to. During my childhood, the lyrics of Raffi Cavoukian (a.k.a Raffi, the children’s singer) influenced me a lot. Therefore, I was delighted when I randomly encountered him recently at the Salt Spring Island Market. I took the ferry over to the beautiful Salt Spring Island with some friends to check out the Saturday Market. Downtown Ganges (the main town) is packed with local vendors displaying their crafts. While I was wandering around, a friend pointed out Raffi selling his books and CD’s. Raffi’s music had a powerful impact on my childhood. I am what he refers to as a #BelugaGrad. You may not know, but one of his greatest hits was a favourite of mine, “Baby Beluga.” I have always loved whales. When I was little, one of the Belugas at the Vancouver Aquarium spit water in my face. Coincidentally, Raffi actually wrote “Baby Beluga” years before after an encounter at the same aquarium with the beluga, Kavna. In my childhood, Raffi’s song reinforced my love of these amazingly beautiful mammals. 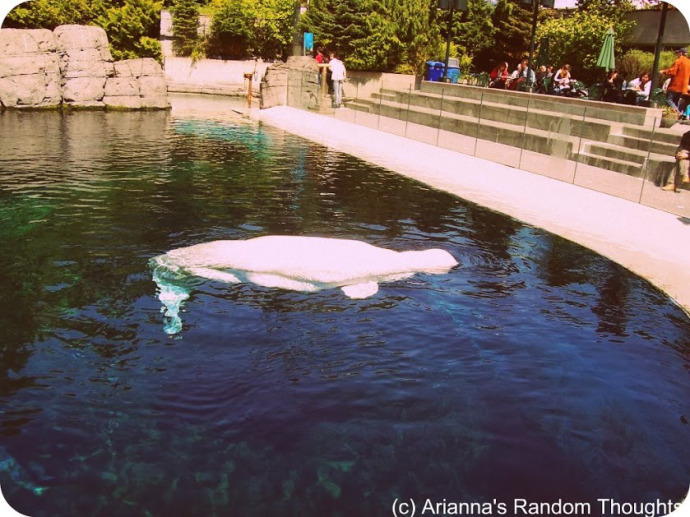 A beluga whale at the Vancouver Aquarium, July 2006. These whales have a special place in my heart. His authentic music has a way of making people smile; it brings joy to their lives. So, when I saw Raffi at the market, I decided to go up and tell him that his music had touched my life. He was truly humbled. It can be scary to reach out to a famous person and mentor, yet I did it anyway. The friend who pointed him out to me, chickened out going up to Raffi and regretted it later. I was curious to meet the man who I had seen in the media and whose music I had listened to growing up. I was thankful that he had written these songs and spread them with others. Raffi was at the market to promote his new book, #LightWebDarkWeb: Three Reasons To Reform Social Media Be4 It Re-Forms Us. From seeing the title, I was instantly intrigued as it had to do with my interest in reducing cyberbullying. I purchased and read the book over a couple nights; I couldn’t put it down. As its title suggests, the book shows about technology’s positive, and negative, effects. Through starting a conversation, Raffi is bringing the issues out of the darkness and into the light. He is really approachable and easy to connect with on a human level. It is nice to have a screen presence, but it will never replace the real thing. Raffi was so kind; after talking with me, he autographed my book and even took a picture with me. It means a lot that the person you see in the media, is just the same and even kinder in person. To be honest, I didn’t expect him to be so humble. Raffi and I. Salt Spring Island, BC. June 2013. Raffi has a clear passion for empowering children; it is evident in his music, writing, and career (check out the Centre for Child Honouring). He knows the importance of speaking up on issues that matter and encourages others to do the same. The message I got from reading #LightWebDarkWeb is to be mindful (i.e., paying attention) to the goings on in your daily life – to think and to take action. One of the ways to act, is to speak up and take a stand or to stand tall and speak from the heart! Our words are a powerful connection tool! Thank you, Raffi, for starting an important conversation!